By way of Poughkeepsie, NY, a new artist making a hell of a lot of noise is this young entrepreneurial spirit named Tito Montana. This guy has been rapping for a little while and started out working with Saigon and has branched off gearing up to start his own brand. He is a major force in the new hip hop that keeps the authentic sound of MC’ing alive. I appreciate this guys talent, ambition, determination and genuine kindness. You will be seeing a lot more of Tito Montana in the near future. MusicalFury – Hey Tito, what are you up to today? Tito Montana – Driving back from DC. I was in Atlanta this weekend doing some promo for myself and my artist. MusicalFury – You are an up and coming artist right now and I first heard about you a few years back when you were working with Saigon. Are you still working together, how did you guys first link up? Tito Montana – I linked up with Saigon from a mutual friend from Rockland County. I spoke to him recently but I think he has been focusing more on his family lately. MusicalFury – From what I understand you are from Poughkeepsie, NY right? 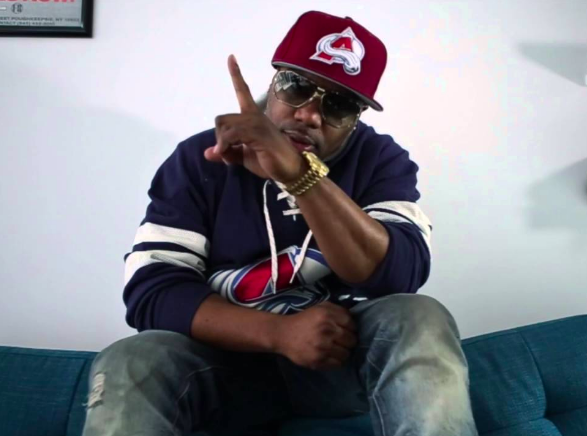 MusicalFury – I am sure that you tour and do shows all over but does Poughkeepsie, or the Hudson Valley in general, have a big hip hop scene right now? 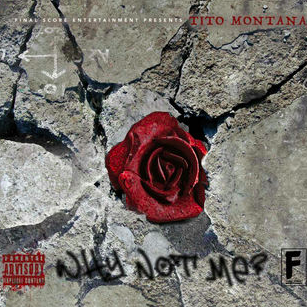 Tito Montana – Yea, there actually is. We don’t have a lot of media outlets to showcase it. There are a lot of talent in the Hudson Valley overall, some pretty good talent I would say. But, since we don’t have a lot of the media there is not much to really showcase and it does the artists a disservice. I decided to take my artist on the road and do shows that way. MusicalFury – What are your goals as an artist in the industry, where would you like to see yourself 5 years from now? Tito Montana – 5 years I definitely see myself with my label established and all my artists out there on the forefront making a lot of noise. As far as myself I think I should be pretty well established to with the work I have done and what I am about to do in the near future. MusicalFury – I see you released a new album independently called Why Not Me? And you have some heavy hitters on there like Fred the Godson, Maino and Dave East to name a few. Are you planning on signing to a label or stay the independent route? Tito Montana – Well, ultimately, I have my own independent label and I have several artists I work with as well. As far as signing goes, it would be a situation that would enable me to empower the artists and the label. As of now I want to appease the label by doing the work myself. I have everything pretty much in house with the label like a production crew. We outsource some things but we can pretty much do everything a major can do but on a smaller scale. MusicalFury – What elements do you think are essential for making a classic album like Raekwon’s Only Built 4 Cuban Linx or Nas’s Illmatic? Tito Montana – I would say, definitely, production has to be tight and diverse. You can sometimes get something that sounds redundant. You can get a variety but it also has to mesh well. When you go from one song to the next and it transitions well it makes it feel like a movie by itself and it is not just a redundant sound with one song after another having no feeling to it. Substance helps, production helps and sometimes the type of features that you select definitely can help. Every time someone has a feature they should match really well and not just try to get a track emailed to them just because the artist is hot at the moment. MusicalFury – You have been making music for quite a while but are definitely starting to break through from the underground. What was the transition like going from underground to attaining more notoriety among fans and other artists? MusicalFury – Once you get to the point in your career that you are satisfied with, do you plan to give back to your community in any way? Tito Montana – I don’t need to arrive at a point, I am actually doing stuff like that now. That is part of the reason why I want to be successful. In my opinion I already have success, not monetary, but rather success with my craft. I give back every chance I get. I have a record that I am trying to release next month and it ties into a shoe drive that I am trying to do in Zanzibar Africa. I visited there and it seemed like the kids were good but they had a lot of sandals and I wanted to give them some sneakers. I want to use the video that I am creating as a platform for me to donate a barrel or two of shoes to send them over to the kids. If I can’t bring them over myself sending them will be just as good. MusicalFury – Last but not least I wanted to ask you about your spiritual and/or religious beliefs. I ask this because of my personal curiosity and I feel it ends the interview on a positive note. Do you mind to elaborate briefly on your beliefs? Tito Montana – I really don’t call them beliefs but I have a personal relationship with a higher power and I am good with that. I don’t believe in a middle man when it comes to that. If we are all God’s children then we don’t necessarily have to go through an Imam or a pasture or whatever. Whatever you believe in is your belief and give me a luxury to do the same, you know, without prejudice.